As you spy emerald-colored mountains rising from cerulean waters, the lure of French Polynesia seems to grow stronger the closer you sail to its fabled islands. With Oceania Cruises, you’ll uncover the natural and cultural wonders of these treasured shores on board an intimate and luxurious ship that will surpass all expectations. Whether you’re dreaming of the blissful shores of French Polynesia to the colonial cities of South America, we’re here to make every element of your cruise as effortless as possible. 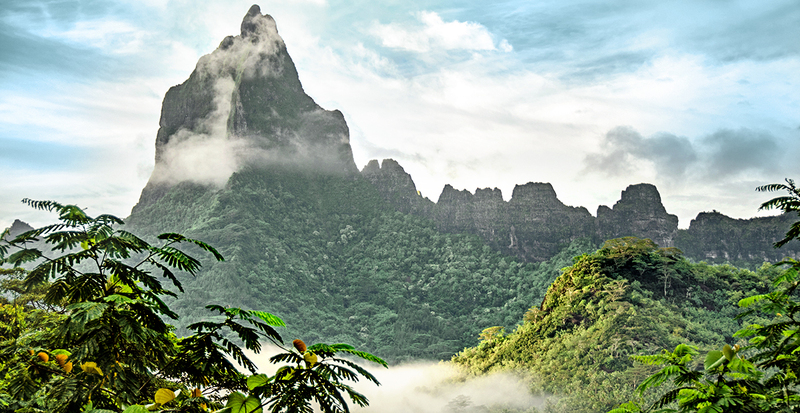 On a round-trip voyage from Papeʻete, the French Polynesian capital, you’ll be whisked among the famous Society Islands as well as the remote and mysterious Marquesas and Tuamotus islands. 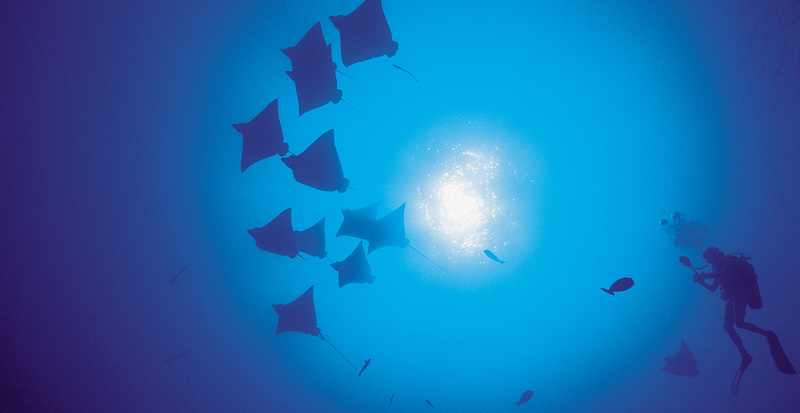 Get Active: We’ll arrange your guided excursions into each paradise — perhaps hiking through Moʻorea’s lush jungles to reach the Afareaitu Waterfalls; exploring the vanilla-scented island of Ra'iātea where divers plunge into coral gardens to gather prized pearls; and venturing off road in Nuku Hiva’s Tai Pī Valley to encounter ancient archaeological finds, connecting you with past residents of this stunning locale. Leisurely days at sea and relaxing evenings aboard Marina enhance your sense of belonging in this treasured part of the world. From the impressive curves of the Grand Lalique staircase to the soothing tones of earth and water in your stateroom, elegance underscores every element. 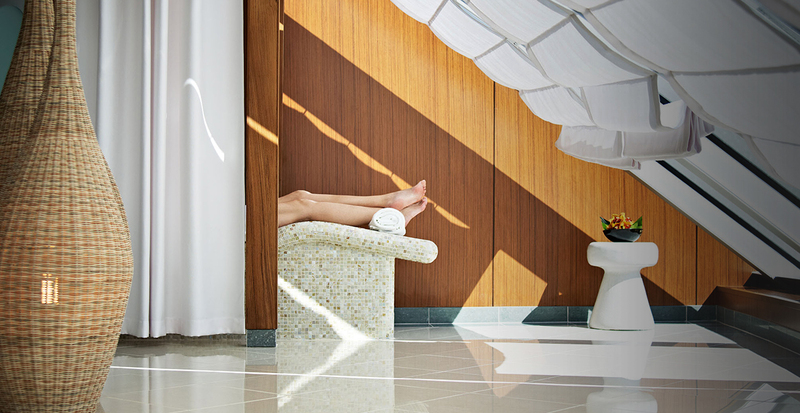 Sweet Serenity: In between exciting excursions, embrace panoramic views of the sea from floor-to-ceiling windows and let us arrange healing treatments in the incomparable Canyon Ranch SpaClub®. Plus, you'll receive our exclusive prepaid gratuities throughout your voyage. A sense of daring accompanies your 20-day voyage from Australia into New Zealand’s coastal cities and the islands of French Polynesia. You’ll jump from urban excursions in cosmopolitan city centers to action-filled outdoor adventures: spend an afternoon wandering Melbourne’s quaint lanes lined with cafés and, the very next day, find yourself hiking in the wilds of a Tasmanian forest. Sip crisp sauvignon blanc in a sunny vineyard near Napier and then marvel as the thermal landscape in Rotorua steams and bubbles beneath your feet. A night in postcard-perfect Bora Bora reveals ample opportunities to swim, snorkel or sail in a blue lagoon or simply relax under the watchful gaze of Mount Otemanu. “Dynamic” is the best way to describe a cruise that connects two incredibly diverse parts of the world. 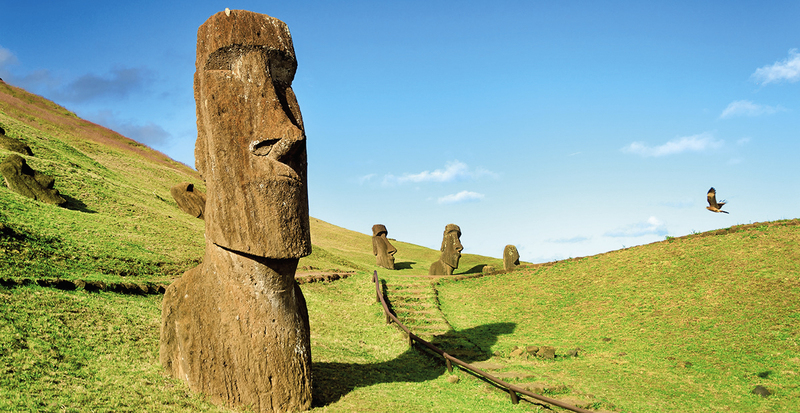 Step foot on elegant Marina to cross the Pacific Ocean from Lima, Peru, to the remote Easter Island where the enigmatic moai statues have stood for centuries as a testament to Polynesian sailing ingenuity, before gliding toward the idyllic shores of French Polynesia. Or sail Oceania’s Regatta from the white-sand beaches of Hawai‘i to Miami — punctuated with an eclectic collection of ports that read like a sun-worshiper’s dream: San Diego, Cabo San Lucas, Acapulco, Cartagena and Havana. Stay a Little Longer: Let us amplify the cultural experiences of these incredible voyages by reserving hotel stays before and after your cruise vacation. 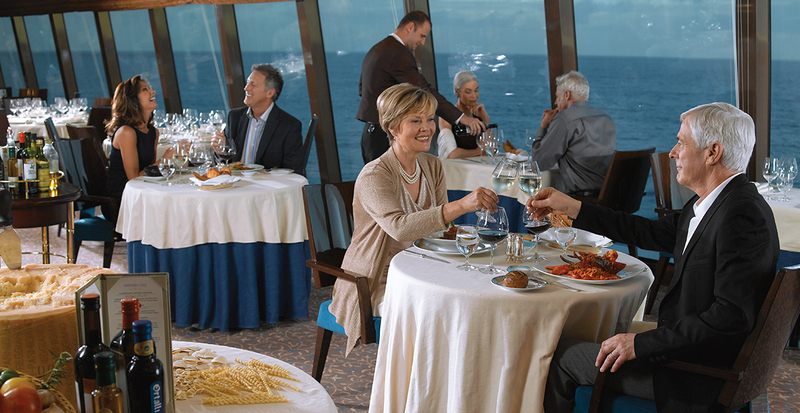 Life on board Oceania Cruises is as rich as your ports of call. Greet each morning from your private veranda as sunlight fills your cabin and let thoughtful staff tend to your every need — whether it’s reserving excursions or refreshing your poolside cocktail. Open-seating dining may feature a sunset meal on the terrace or authentic Italian food and wine in the inviting Toscana restaurant. On select ships, a state-of-the-art Culinary Center brings you up close to master chefs who extend the flavors of the land to your palate with classes, tastings and wine-paired meals. From the blissful shores of French Polynesia to the colonial cities of South America, we’re here to make every element of your cruise as effortless as possible so you can dive into each destination and relish in satiating your curiosity. Watch the video below to discover the new possibilities and inspired feelings that occur when you explore the world with Oceania Cruises. Ready to reserve your Oceania Cruises vacation? Contact us today to get started.